means that we are able to identify emerging issues quickly and put them into perspective. As well as informing our day-to-day coaching, we capture some of the most important themes in pamphlets, tools for our clients and published books. What Value do Senior Women Leaders and their Organisations get from Coaching? It is important to ask what value senior women and their organisations can gain from coaching. Research has shown that coaching has had a significantly positive impact on women who take on senior roles. Job-sharing: A Model for the Future Workplace? In our coaching practice we meet an increasing number of job-sharers who want to tell their story - and others who would like to explore job-sharing if they knew how to go about it. Living leadership is about fully embracing your leadership challenges and opportunities. Leading well is about bringing all your experiences to bear, while not trying too hard and exhausting yourself. 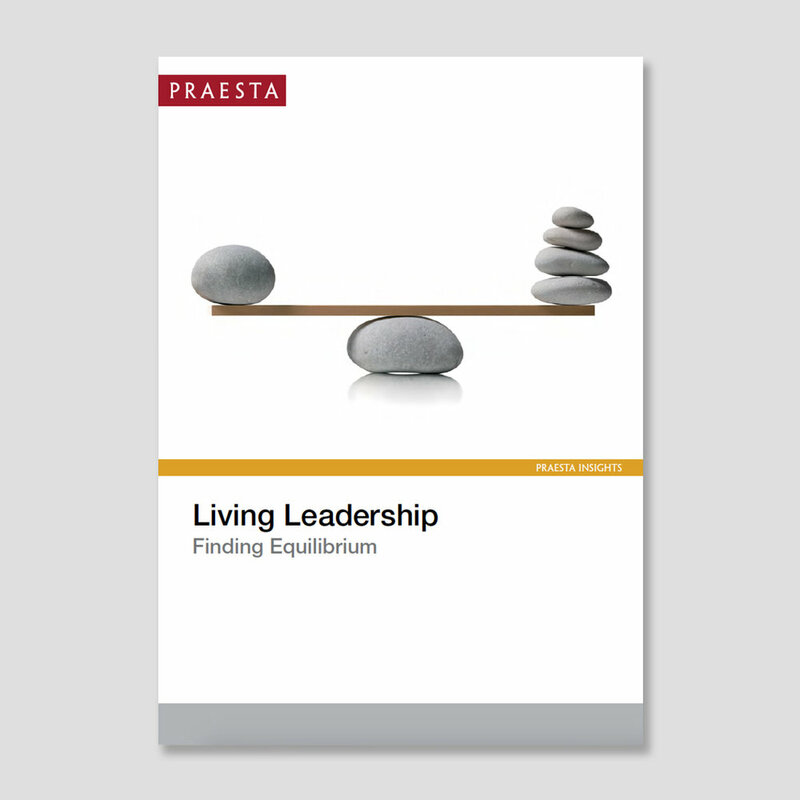 When Praesta’s founding partners first planned their new business, they were determined to create a firm that would be wholly focused on their collective passion – harnessing the power of executive coaching to help people and the organisations they work for achieve their ambitions and aspirations. The characteristics, attributes and behaviours of board members and the chemistry between them, alongside the information they work with, determine the effectiveness of a board. Here you are, the new team leader, head of investment or CIO. You feel justly pleased by having been given the chance to show your skills at managing people as well as investing assets, and pleasure at being acknowledged by the company as a key member of the overall team. But now what? Work, at senior levels, in the 21st century has accelerated – many executives find themselves in what we call a “faster-faster” world, with unrelenting pressure, global travel and high performance expectations. Yet, contrary to popular belief, many individuals thrive in this pressured environment. How is this possible? We decided to explore this. One way to approach the challenge of leadership is to learn from other fields. We see leadership, like music, as a discipline: as a contribution, and not a position in a hierarchy. The purpose of this Insight document is to prompt thinking and action that de-risks chief executive succession. It is informed by our knowledge of what happens before and after a change of guard at the top. Metro Leaders: A New Breed of Men in Business? Seizing the future demands an upbeat and assertive approach coupled with realism, humility and the confidence to lead by example. It involves standing back, re-evaluating and being liberated from those previous frames of reference that constrain. The most successful leaders do this while remaining true to clear guiding values. What Makes a Great Chair in the Public Sector? In the UK public sector there is a wide range of bodies of different kinds that support the business of Government. Their nature and numbers may change over time, but they remain an important part of the landscape. In this Insight document we share observations from working with executive and senior teams over many years and through changing contexts. We set out ten characteristics we notice in teams that stay resilient. How should organisations reposition themselves for 2020 and beyond? What should leaders be doing now to prepare for that? Big questions. Our view is that today’s answers are very different to yesterday’s. Leaders today are faced with intense work and personal challenges that can cause them to question their normal leadership approach. As a coaching practice, we have seen the impact of the current economic environment on leaders and the way they work. Agility – how to wait, watch, and make fast, decisive moves at the right time - has become a core source of survival and long-term competitive advantage. Our view is that agility starts with the leader, who shapes the capability of his/her teams and, through them, the wider organisation. Why Are There Still So Few Women On Executive Boards? Lord Davies of Abersoch set FTSE 100 companies the challenge to achieve 25 per cent of their members being female by 2015. While women now make up 22.4% of FTSE board non-executive directors, the percentage of women executives remains at a tiny 6.6%. It is here that the challenge remains. Below is a list of books written and published by Praesta coach Peter Shaw along with his colleagues. Conversation Matters: how to engage effectively with one another. London: Continuum, 2005. The Four Vs of Leadership: vision, values, value-added, and vitality. Chichester: Capstone, 2006. Finding Your Future: the second time around. London: Darton, Longman and Todd, 2006.
Business Coaching: achieving practical results through effective engagement. Chichester: Capstone, 2007 (co-authored with Robin Linnecar). Making Difficult Decisions: how to be decisive and get the business done. Chichester: Capstone, 2008. Raise Your Game: how to succeed at work. Chichester: Capstone, 2009. Defining Moments: navigating through business and organisational life. Basingstoke: Palgrave/Macmillan, 2010. The Reflective Leader: standing still to move forward. Norwich: Canterbury Press, 2011 (co-authored with Alan Smith). Thriving in Your Work: how to be motivated and do well in challenging times. London: Marshall Cavendish, 2011. The Emerging Leader: stepping up in leadership. Norwich: Canterbury Press, 2013, (co-authored with Colin Shaw).